7 minute electroacoustic performance by Stephen Summers using some of the latest R&D experiments into voltage-controlled motors as agitators striking acoustic objects inside a mini IBC used as a reverb chamber. This concert (as well as others all weekend) will feature electroacoustic performances by NOVARS students and guest performers. Small Incredibly Big Container will be performed at the start of the 6pm concert. Tickets must be brought seperately for each concert. 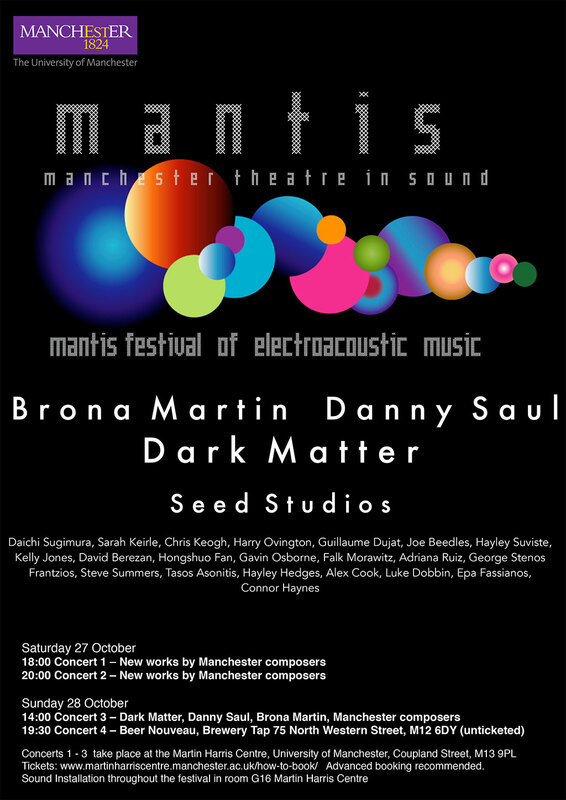 Tickets: www.martinharriscentre.manchester.ac.uk/how-to-book/ Advanced booking recommended! Next: 16-24 Feb: Acousatron @ Eureka!